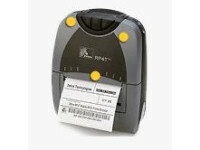 With Zebra’s R110Xi4 RFID printer/encoder—optimized for high-volume operations—you can print and encode a variety of UHF radio frequency identification smart labels for a multitude of applications. As Zebra’s third-generation RXi™ printer/encoders, the R110Xi4 is designed with innovative, industry-leading features to meet the demands of current and future applications, and leverages the built-to-last Xi4™ printer platform for robust performance. 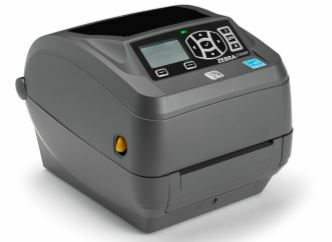 This high-performance printer/encoder delivers superior flexibility and unique features for a number of benefits. 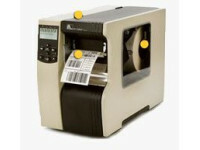 For example, it can fulfill a wide range of applications—from small, high-resolution (600 dpi) healthcare specimen smart labeling and item-level tagging, to RFID pallet/carton labeling with print widths up to 4”/103 mm. Auto-configuration, which enables encoding of a variety of different RFID tags, simplifies setup. And by encoding RFID inlays that are spaced closer together (0.6”/16 mm or less) than other-brand printer/encoders, the R110Xi4 enables lower cost per label, fewer media-roll changes and faster throughput. Even use media converted for other printer/encoders thanks to Zebra’s ability to detect variable inlay placement. If you don’t need printed labels, the direct-to-inlay encoding capability means even more media savings. • IBM® Code Page 850 International Characters• Contains UFST® from Monotype Imaging, Inc.